To some, Pasha is a Robin Hood. To others, he is simply another violent misogynist, cut from the same cloth as the acid-throwing Isfahan “vigilantes.” In either case, he is a reflection of the corrosive social pathologies plaguing contemporary Iran. 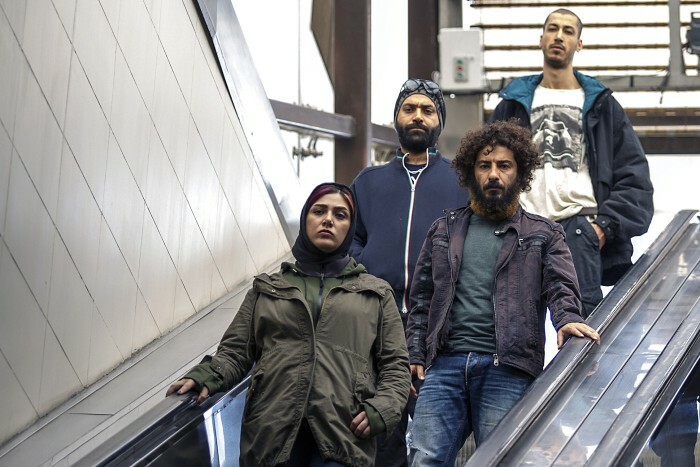 Reza Dormishian challenges everyone’s perspective with his whirlwind ripped-from-the-headlines drama Lantouri (trailer here), which screens during the 2016 Vancouver International Film Festival. Lantouri is the name of the gang founded by Pasha to target those who prospered in Iranian society through corruption. Frankly, they never really confirm any graft per se. They just take conspicuous wealth as a priori evidence of malfeasance. Pashi and first recruit, former prostitute Baroon really do give a good deal of their loot back to the orphanage where he once grew up, but subsequent gang-members are maybe not so altruistic. Nevertheless, the fab four work well together pulling a variety of muggings, kidnappings for ransom, and blackmail-extortion jobs. Unfortunately, it all turns sour when Pasha falls madly and crazily in love with anti-corporal punishment activist Maryam. The exact nature of their relationship will evolve dramatically as Dormishian divulges more and more information through his fractured Rashomon-like pseudo-documentary narrative. Frequently cutting between talking head interview subjects representing a wide cross-section of Iranian society, Dormishian slowly reveals the truth of their relationship and its tragic implications. However, the hypocrisy of the legal system and the acute vulnerability of women within the fundamentalist society are immediately and consistently apparent. However, Dormishian will make both sides question their assumptions when the victim pursues her legal right of “lex talionis,” or “an eye for an eye,” which in this case means exactly what you think it does. As background, it is important to keep in mind the frequency of acid attacks in Iran over the last few years. Naturally, the Islamist government responded to the wave of acid attacks in Isfahan by jailing the journalists who reported them. However, Iranian state media hailed Ameneh Bahrami (who clearly inspired Maryam) for waiving her claim to lex talionis. Others in her position have not been so forgiving. Aesthetically and stylistically, Lantouri is both bracing and exhilarating. It comes at you like a machine gun. Frankly, sometimes the drama of the narrative passages is lost in the bravura presentation, but the overall effect is dazzling. This is bold filmmaking in every conceivable sense, so it is downright disappointing more of the big name fall film festivals have not selected it, at least so far. Nor it is just Dormishian who displays his chops. Maryam Palizban’s performance as her namesake is as courageous as anything you will see all year. It is truly painful to watch see her disfigured beyond human recognition in her later post-attack scenes. Yet she still imbues the journalist with a ferocious dignity that will knock most viewers back on their heels. Similarly, Navid Mohammadzadeh shows tremendous range and feral intensity as the unstable Pasha. 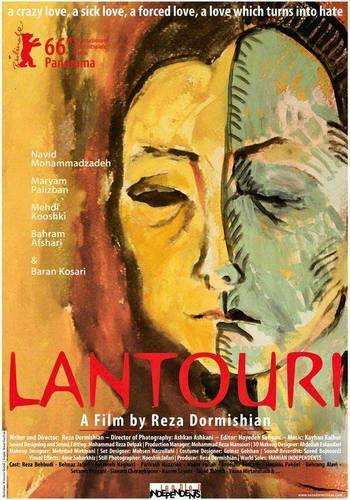 Lantouri is a brutally honest film that questions the “we-want-it-we-take-it” ethic of the redistributive Occupy movements just as forcefully as the misogyny and institutional cruelty of the Iranian legal system. There are no “safe places” in Lantouri. However, when it ends, you know full well you have just seen some important cinema. Indeed, editor Hayedeh Safiyari’s virtuoso contribution to Dormishian’s auteurist vision cannot be overstated. Impressive and overwhelming, Lantouri is very highly recommended and assured to generate heated discussion when it screens tomorrow (10/4) and the following Tuesday (10/11), during this year’s VIFF.